I hope you are having a wonderful Sunday so far. So today is a slightly different post, and definitely an unexpected one as well. 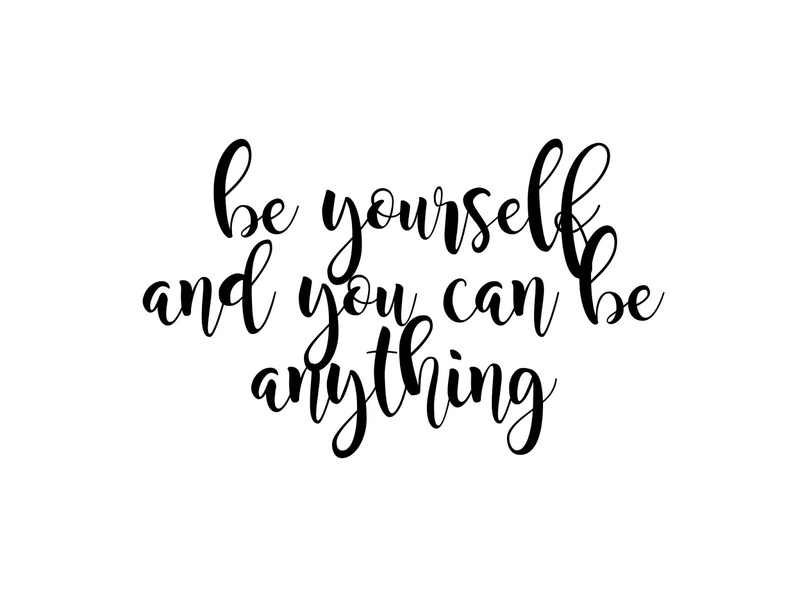 While wandering around the #Bloggerationchat, myself, Emily and Becky started discussing when I came out yesterday to my mum! This sounds absolutely crazy I know, and trust me, it's not what you're thinking. However, we decided to start a tag called #TheComingOutTag. 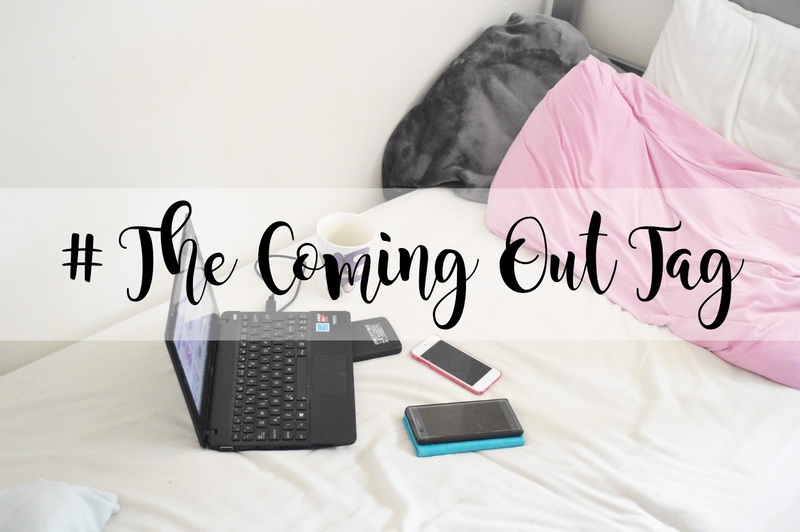 This tag will be a place for bloggers to share their "Coming Out" stories with other bloggers and to get a general discussion going. As part of #TheComingOutTag we will be answering four questions to start off our story. A story which may influence and inspire others to come out. Join us on this adventure and share your coming out story too! I started blogging because I had a passion for writing, photography and taking pictures of generally everything I laid my eyes on. I used Facebook a way of expressing my photography by sharing pictures of my pets, baking, knitting and any other bits and pieces I took pictures of. I needed something bigger and better than Facebook to share my passion for writing and this is when Kimberley Jessica formed. 2. Who have you come out too? I have come out to the blogger community, of course! However, I have only come out to my boyfriend and my mum just this week. 3. How long did it take you to come out? Realistically, it has taken me over two years to come out to my boyfriend and my mum. And two years exactly to come out to the blogger community when my Instagram account was formed on 30th July 2016; just two years and four days after my blog was created. 4. What effect has coming out had on you? Coming out to other bloggers has had a massive effect on me. Not only has my confidence increased so much in myself, and my blog. But I have formed a circle of friendships with many many bloggers and people I feel comfortable with, enough to share my thoughts and experiences with. These people are the ones I cherish the most, they're a group of girls, and boys who love me for who I am, they have things in common with me and they don't expect me to be any different to suit their requirements. Coming out to my boyfriend and my mum lifted the whole world off my shoulders. I can now express my thoughts with them and ask for their opinions on my blog. I can now tell them what I'm up too instead of lieing and saying "nothing" when they ask me what I'm doing. I can share my whole world with them without feeling afraid. I, me, Kimberley Jessica started my blog officially on 26/07/14. This was the day I posted my first ever blog post and Kimberley Jessica launched. However, I have changed my blog name quite a few times since then. I would honestly say Kimberley Jessica properly launched on 08/02/16, just this year where I started a little series called "Daith Piercing to Cure Migraines?" after I had my daith pierced to try and stop my daily headaches/migraines. So technically speaking, having my blog for two years, I never told any family or friends about my blog until this week, when I sucked it up and told my boyfriend on Thursday, and then my mum yesterday. I came out, not much, but a little bit and I felt so much better afterwards. For the past 7 years of my life (removing the past year), I was bullied. I was bullied because I was different, I didn't look like everyone else by wearing fake tan and makeup and dying my hair and girls didn't like this. To be honest, boys didn't like this either. I was different because I enjoy education and would be the one person who sat down in silence and got on with my work. I never had a detention and I always did my homework. College was like this too; I was the only person who finished my essay within an hour and left before lunch and they hated this. Although I've had my blog for two years, I was too scared to tell anyone; I didn't want the bullying to start again. My mum has mentioned me starting a blog for a while because she knows how much I love writing and she did say yesterday "I knew there was a purpose why you took pictures of absolutely everything." And she was completely right. I hated that I kept this secret from her for two years, and the past 8 months where my blog has been at it's fullest. However, I knew she'd understand. The other day my boyfriend read my phone half way through a twitter chat and asked lots of questions and I responded with "oh, it's nothing". The next day I told him I needed to tell him something and I let it all out. I told him I had my own blog, that I was involved in a twitter chat when he was asking all them questions. How I speak to so many different people who all have very common interests as I do and that's why I'm so happy with sitting at home and doing "nothing", when really I am blogging but I never wanted to tell him. Although he said I have lied to him for the past two years of our relationship, he supported me and he expressed he doesn't understand blogging but he was excited for me and my journey. One day I'll get around to telling other people in my family, and then I'll share my blog on my Facebook for everyone to see. However, for now I am happy and content with my blogger community around me and the loving support from my boyfriend and my mum. I'm finally in love with my blog, the way it looks and the content I am producing and I'm glad I can share my journey with you and whatever it may bring. I've come out, sort of. Will you? Let me know if you have come out or if you're in the same position as I am. Loved reading this post!! I know exactly how you feel - I just changed my blog name to my real name last week! I'm still so shy to tell people I know or put it on facebook, but reading your post has let me know we are in the same boat, and hopefully one day we will be able to be totally open. Aww well done for 'coming out'! It's difficult to do it and I don't know why. My boyfriend knows I blog, and he's been very supportive but he doesn't get the whole thing either! My dad has an idea that I'm doing something, but again he's not sure! I don't feel comfortable telling my friends or other family members just yet, I'm still enjoying this being just mine, ya know? Hopefully we'll be brave enough to share it with everyone!